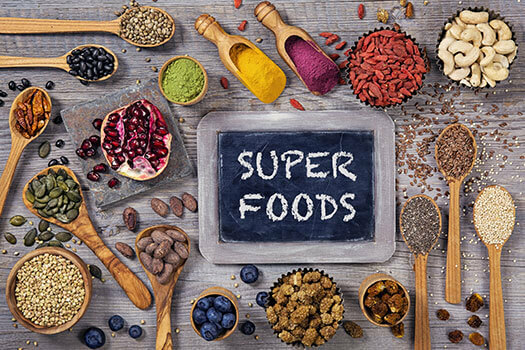 Since superfoods contain antioxidants as well as high amounts of must-have nutrients, they’re a powerful tool for helping seniors fight off an array of age-related conditions. Here are eight excellent superfood options seniors should incorporate into their diet. Pink salmon is a good source of protein for older adults. It contains high amounts of vitamin D, which can enhance a senior’s bone health. Salmon is also rich in omega-3 fatty acids, which are known to lower the risk of heart disease. Sometimes seniors need motivation to eat healthier, and professional caregivers can help. In Clarksville, TN, home care agencies can be a great boon to seniors. With the help of the caregivers at Home Care Assistance, your aging loved one can lead a happier and healthier life. We offer a revolutionary program called the Balanced Care Method, which encourages seniors to eat nutritious foods, exercise and socialize regularly, and focus on other lifestyle factors that increase life expectancy. Bone loss is a big concern for older adults. Tomatoes are a superfood that contains significant amounts of lycopene, which is a powerful carotenoid that can boost bone health and prevent conditions such as osteoporosis. Eating tomatoes may also lessen the risk of digestive tract cancers and heart disease. If your busy schedule can’t accommodate extra attention to your aging loved one’s diet, consider hiring a professional caregiver. Clarksville home care experts are available to provide high-quality care to seniors on an as-needed basis. From assistance with mobility and exercise to providing transportation to the doctor’s office and social events, there are a variety of ways professional caregivers can help your aging loved one continue to live independently. This type of chocolate is full of antioxidants, fiber, and minerals. Seniors who make dark chocolate a regular part of their diet can enhance their health in many ways. Dark chocolate contains flavanols, a type of flavonoid that can have a positive effect on heart health by increasing blood flow to the brain and heart as well as lowering blood pressure. Eating this superfood can also boost cognitive health. Walnuts and cashews offer amazing health benefits and may help seniors boost their good cholesterol. They’re full of anti-inflammatory agents and are abundant in omega-3 fatty acids. Regularly eating nuts may help seniors boost their brain function and lower their risk of developing a variety of health conditions. Sweet potatoes are packed with sweet flavor as well as nutrients that naturally boost a senior’s immune system. This superfood also offers older adults disease-preventing and cancer-fighting benefits. They’re a great source of anti-inflammatory nutrients and vitamins C and A, making them the perfect food choice for older adults who have asthma or arthritis. A full cup of sweet peppers provides older adults with their daily allowance of vitamins C and A. These vitamins can keep the immune system healthy and give the skin a glow. Peppers are rich in vitamin B6, a water-soluble vitamin that can renew cells and enhance the health of the nervous system. Blueberries contain substantial amounts of potassium and vitamins C and A. They’re rich in anthocyanins, which are a type of flavonoid with antioxidant effects that give the berries their blue-purple hue. These flavonoids are also known to increase night vision and brain function as well as protect against vascular disease. Cabbage contains compounds known to lessen the risk of heart disease as well as breast and stomach cancer. Eating this leafy green vegetable can also help seniors with gastrointestinal issues. It’s a wonderful source of vitamins K and C, which may lower the risk of osteoarthritis and protect the joints. Encourage your loved one to switch to healthy superfoods, and help him or her prepare nutritious meals. If your aging loved one needs occasional help with bathing, grooming, cooking, or other basic household tasks, or if you need time to attend to important personal matters, reach out to Home Care Assistance, a leading provider of live-in and respite care. Clarksville seniors can maintain their independence while living at home with the help of our reliable respite caregivers. To learn about our premier home care services, call us at (931) 444-1950 today.